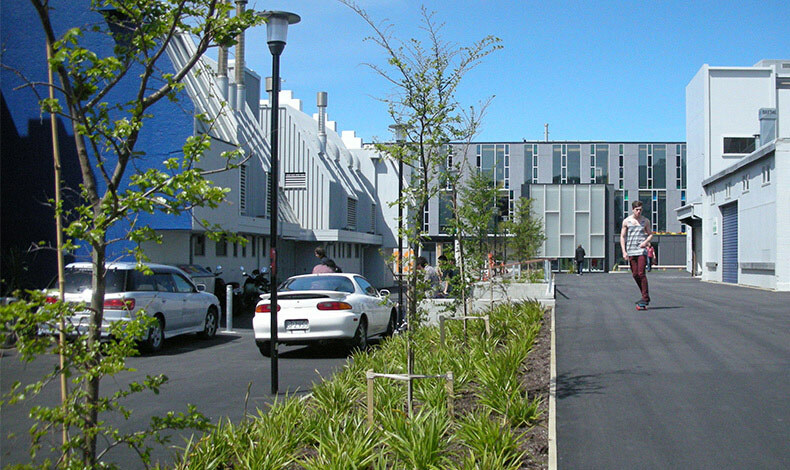 Our Landscape Architects were engaged from concept through to detail design for the exterior landscape spaces that surround the new College of Creative Arts (CoCA) building at Massey University, Wellington campus. The new building, designed by Athfield Architects, and its surrounding precinct will be a focus for the performing and creative arts learning environment and supports arts related courses at the university. The open space includes a stage, terraced steps and lawn area for student outside performance and social interaction.